A twist on the original Southern recipe for sausage balls is now gluten-free. Perfect for breakfast, the holidays or your next party. The recipe also has a dairy-free option. Marrying a Southerner opened up a whole new world of food for me. I had never tasted a sausage ball until we moved back to my husband’s hometown of Knoxville, Tennessee. I remember the first time I tasted these scrumptious little balls of biscuit, sausage, and cheddar cheese. I was at our church’s mothers meeting and one of the ladies brought them as her appetizer to share. I was blown away by their texture and flavor. I immediately asked her how to make them. She said it was simple, the sausage balls were made with”Bisquick, sausage, cheddar cheese, and milk”. Super easy Bisquick sausage balls! Well, I went home that night and told my husband all about this perfect bite of sausageness. Yes, sausageness is a word, sausage is serious business in the South. Ok, I just made it up, but you get what I mean, right? My husband looked at me like I was crazy. 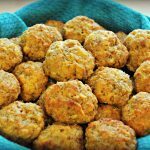 Sausage balls are a Southern staple for breakfast, holidays, church functions, parties and game day (Go VOLS!). This was all news to me, but it started my family’s love affair with sausage balls. It’s so crazy to me that something so simple can be so amazingly delicious. Years later, when I went gluten-free, I knew I had to make a gluten-free version of our beloved sausage balls. Sausage Balls in a few easy steps. In a large bowl mix the gluten-free Bisquick, spices, cheeses, and brown sugar together with a spoon. Add the milk and stir until fully combined. If you do not have the gluten-free Bisquick, you can make your own with this recipe. 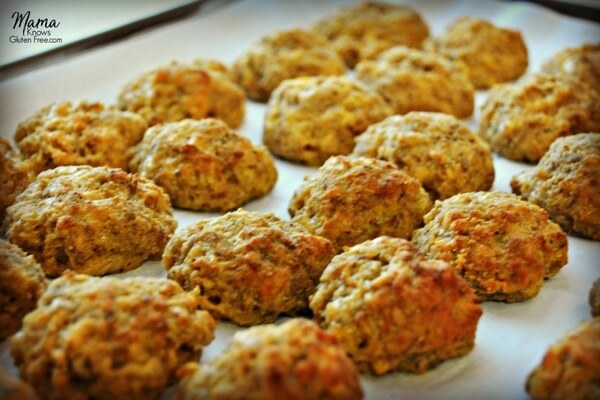 These gluten-free sausage balls are the perfect balance of biscuit, sausage, cheese, and spices. I even added a little brown sugar to my recipe, because I like maple syrup on my sausage. Don’t you? I have also included a dairy-free option for the recipe. My husband, myself and youngest son are all dairy-free as well. So now, you too can enjoy a gluten-free and a dairy-free sausage ball. For the dairy-free version of this recipe, I used Daiya Cheddar Style Shreds and almond milk. This recipe makes enough gluten-free sausage ball for a small army, so you could easily cut the recipe in half (unless your small army is like mine and demolishes them in one day). These crowd-pleasers also freeze and reheat well. So, if you want to get your gluten-free sausage and biscuit fix, these little Southern sausage darlings will make your day! 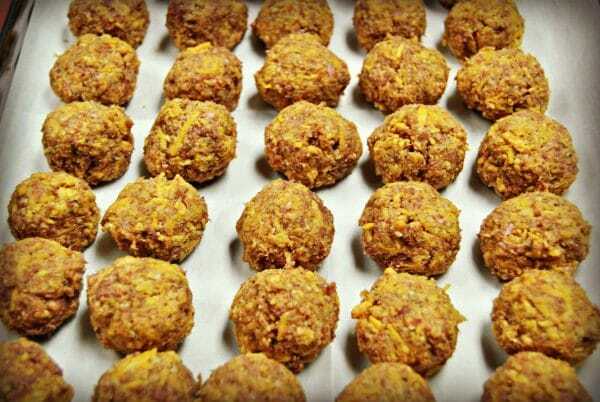 See how easy the recipe for Gluten Free Sausage Balls is in the video below. More Gluten-Free Appetizer Recipes For You To Try! 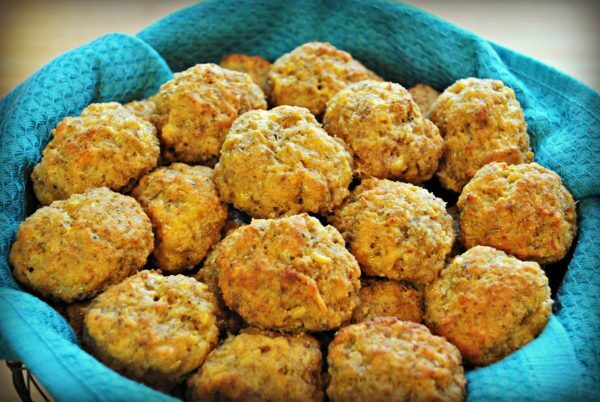 A twist on the original Southern recipe for sausage balls is now gluten-free. Perfect for breakfast, holidays or your next party. 3 cups gluten-free Bisquick If you don't have gluten-free Bisquick see the recipe notes to make your own. Spray two cookie sheets with cooking spray or line with parchment paper. In a large bowl mix the gluten-free Bisquick, spices, cheeses and brown sugar together with a spoon. These sound awesome. Great idea for super bowl. Thanks for sharing. Thanks Teri! You are so welcome. I love sharing what I make for my family. Do you brown the sausage before you incorporate it with the dough? Hi Katherine! You do not cook the sausage before you add it to the dough. It cooks in the oven with the dough. Thank you for asking. Can you make these and freeze them? And if so do they still taste good and have good texture? Hi Shari! Yes, you can freeze and reheat them. They still taste great. I hope you enjoy the sausage balls. I have made “Sausage Balls” before I was diagnosed with Celiac Disease. I have also made them since (the diagnoses). I haven’t tried your recipe yet, but it is close to the recipe I use. It sounds great, and I will let you know what I think. I do have a question. You mentioned you have a recipe to make “Bisquick”. I couldn’t find it. Help? I have a bunch of flours, and was hoping I have the right combination to make the recipe. So glad I found you. Can’t wait to try some of your recipes. Hi Wendell! I updated the recipe to include the recipe for Homemade Gluten-Free Bisquick from This Mama Loves. I have used her recipe and it’s great! I hope you enjoy the sausage balls and any other recipe you try! I want to make this receipt ahead but not cook until I need them. What would be th instructions for cooking raw frozen balls? Hi Trudy! I have never tried to cook them frozen. I would start cooking them at the same temperature and length on the original recipe, but please watch them because all ovens are different. I hope you enjoy them! I tried a gluten-free sausage ball recipe years ago and it was awful. Dry and flavorless. This one was excellent. Although I was wary of the brown sugar, it was quite pleasant and gave it wonderful flavor. The kids really loved these. Thanks! Thank you Mrs. Duncan for the wonderful 5-star recipe review! I am so happy that you all enjoyed the sausage balls. It was one of the first recipes I modified to be gluten-free because my family loved them so much! I’m glad that you thought the brown sugar gave them a wonderful flavor too. I love maple sausage so that’s the flavor I was going for. Thank you again! Made these sausage balls Christmas eve night and refrigerated them. Christmas morning, I popped them in the oven! The house smelled wonderful and when they were done, the bowl was passed around – several times! The few that were leftover were reheated the next morning and the grandsons fought over who would get them! What a hit! Will definitely be making them again! Super easy! Thank you, Audrey, for sharing your recipes. They are especially good at feeding a mixed gluten/ gluten-free family! 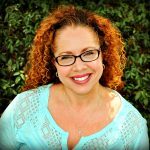 Thank you so much Micki for the wonderful 5-star recipe review! I am so happy that you and your family enjoyed the sausage balls. They are a favorite in my house too. You are so welcome I love sharing what I make for my family. Thank you again for your kind words and encouragement! I absolutely love these. I make them at least once a month. They last great in the fridge for a few days and I always have them frozen for a quick on the go work breakfast- even for work. If in the fridge I microwave for about 40 seconds and longer if frozen. 1) I use 2 cups white cheddar and 2 cups yellow cheddar for a full recipe or 1 cup of each for a 1/2 recipe. 2) Whether I make a full or 1/2 recipe I find I need more milk then the recipe calls for. I always start with what the recipe calls for and add more as I go if it’s too dry. 3) I used one roll of jimmy dean hot sausage and 1 roll of regular. If I 1/2 the recipe I use half of each; combine the rest of the sausage in a zip loc and freeze or use for something else. 4) You need 1 full box of bisquick and part of a 2nd box for a full recipe. I have never been able to make a full recipe on just one box of busquick. 5) definitely use a small scoop and silpat sheets when baking. I find 22 min works for me. My dad likes these as patties or breakfast sliders (as he calls them) so I scope and then flatten with my palm. Baking time for me is 22-24 min. Thank you so much Jennifer for the wonderful 5-star recipe review! I am so happy that you enjoy the sausage balls. Thank you for all of your tips. Are you still using the parmesan cheese with the cheddar cheese? Not using the parmesan cheese can change the moisture of the sausage balls and maybe that is why you have to add more milk. Thank you again!